We founded our beekeeping in 1973, nowadays we have 100 bee colonies helping us to create our own honey. The honey, as a natural sweetener, is an everyday guest at our table. We like it very much, since it is natures’ gift. There is nothing to add or take away form, it is perfect the way it is. 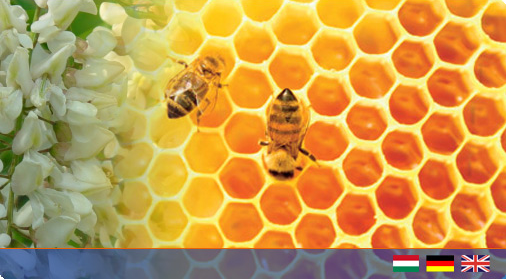 Honey is not only organic, but also a very healthy supplement for every day’s dining. Our bee colonies always placed next to different sort of flora, so that our honey selection is widening. We are ambitious to offer increasingly more type of honey, and honey related products. I recommend to your attention our honeys with all my love, which are the results of thousands of hardworking honey bees’ diligent work. It shall not be missing from Your table either!